Bay Area Concretes’ management, sales, marketing, and consultation divisions retain over 300 years of combined architectural concrete and real world industry experience. Our quality oriented architectural concrete installation staff exemplifies expertise in the thousands of hours spent installing various forms of decorative and colored architectural concrete. We have developmental and installation capabilities as well as resources located in the San Francisco Bay Area, Sacramento, Central Valley, Southern California, Coastal Regions, and Napa Wine Country. Because of our locations, we are able to easily provide all your concrete site paving, commercial, residential, and other architectural concrete needs. BAC will travel far and wide to share our craftsmanship with architectural diamond polished concrete finishing. Bay Area Concretes (BAC) and PolishedCrete markets and installs various diamond polished floors which can be colored architectural floors and decorative surfaces and the Bomanite stamped concrete paving products. We helped to originate colored concrete, imprinted architectural concrete, and diamond polished surfaces for over 52 years and are the longest standing Bomanite contractor in the world. With over 100 Bomanite & Bomacron concrete stamping patterns and an endless array of concrete texturing techniques, diamond polishing finishes, color hardeners, integral colors, concrete sealers, concrete stains, concrete dyes, and ARTISTIC metallic concrete components you can be assured we can and will meet your design criteria. BAC was the second concrete contractor to imprint concrete with the world’s first and still BEST colored and stamped paving system – Bomanite…..still going strong today worldwide. 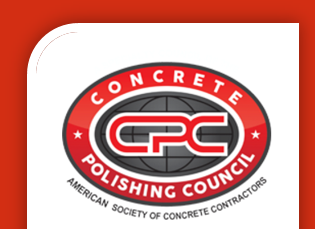 PolishedCrete and Bay Area Concretes are the only UNION LABOR diamond polished concrete floor company in Northern California–signatory to both cement Masons and Labor Unions! There is NO equal, when Union work scope is required! BAC is also one of the founding contractors for the Decorative Surface Solutions Group. 46 years practicing all facets of the architectural concrete experience. BAC is a Service and Quality Control Oriented Company with a track record of references to prove it. All our expertise is encompassed in our complete TQM program. The BAC Union Labor Force is retrained and reacquainted with the latest architectural concrete developments each and every year in-house, and at worldwide gatherings of BOMANITE & PATENE ARTECTURA Licensed contractors. Our labor force also has the lowest educated labor turnover rate in the industry and we retain over 250 Years of architectural concrete experience within the BAC framework of operations. Cost free design consultation for architects, designers and residential homeowners incorporating value-engineering, specification writing, sampling, and conceptual budgeting into each project. Communication is our #1 Goal. Bay Area Concretes, Inc. shall strive to maintain its leadership position in the world of architectural concrete finishes and all forms of concrete hardscape – both exterior and interior. We will continue to forge the cutting edge of decorative architectural concrete technology while maintaining environmentally “green build” standards. We will interject everything we create with a touch of art and approach our business model with the TQM (total quality management) that produces quality concrete projects and satisfied clients. We will retain the best team members and provide organic growth via constant training and opportunity for advancement.